You may have read in my earlier post about our harrowing journey to the Banff Springs. 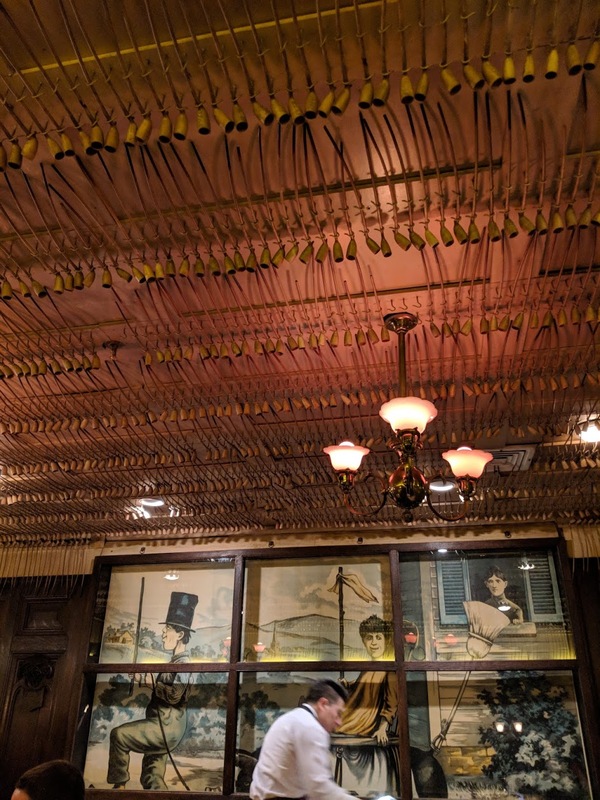 We had reservations at 1888 for 7:00pm, and ended up texting and calling the restaurant several times to change plans en route as snow and sleet and standstill traffic barred the way (we had expected to be at the hotel in the early afternoon). We were so grateful to be accommodated, and ended up miraculously sliding into our chairs at 8:45 pm, about the time of their last seating. 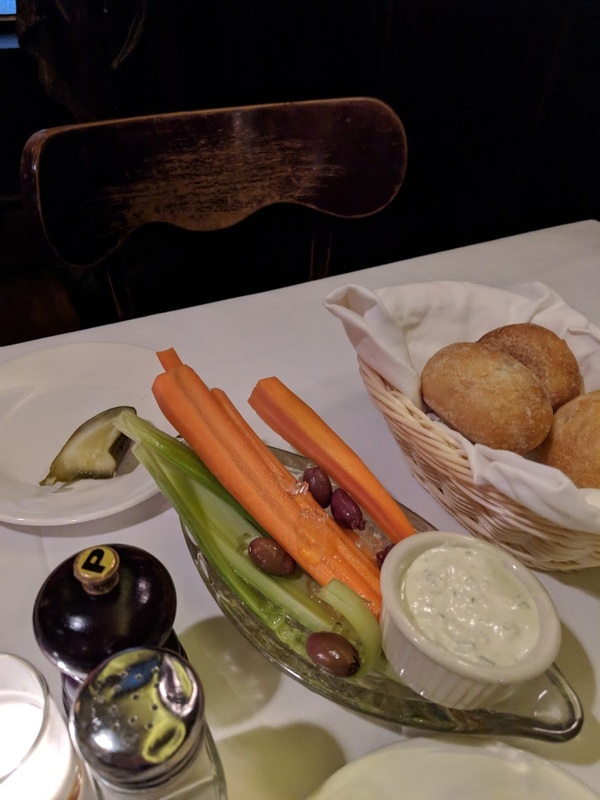 Our waiter slid the restaurant’s famous champagne cart up to our table – familiar to us from the Banffshire Club days – and we promptly requested two glasses of Veuve Cliquot Rose to toast the way the day turned out in the end! Next order of business: food. We were hungry and ready for a great meal. 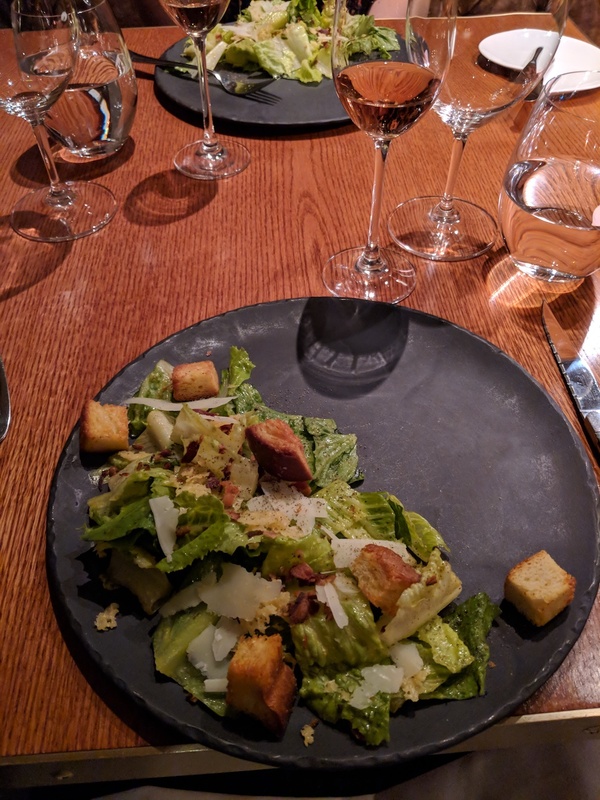 We started off with the 1888 Caesar Salad, served on a chilly and very attractive slate plate. It was a really nice take on the classic. 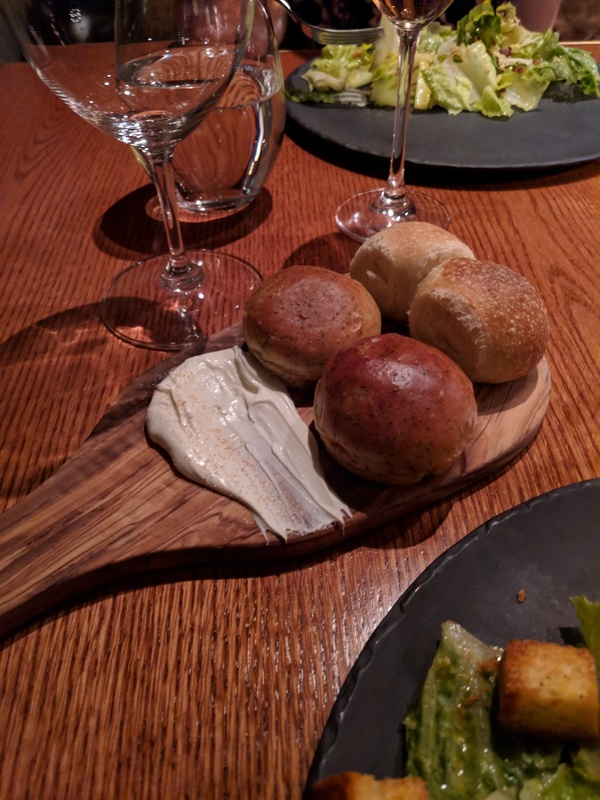 The salads were served with fresh, warm buns and butter. We knew we would both be having beef (we’d been dreaming of luscious steaks all day), but we had to settle on a wine. 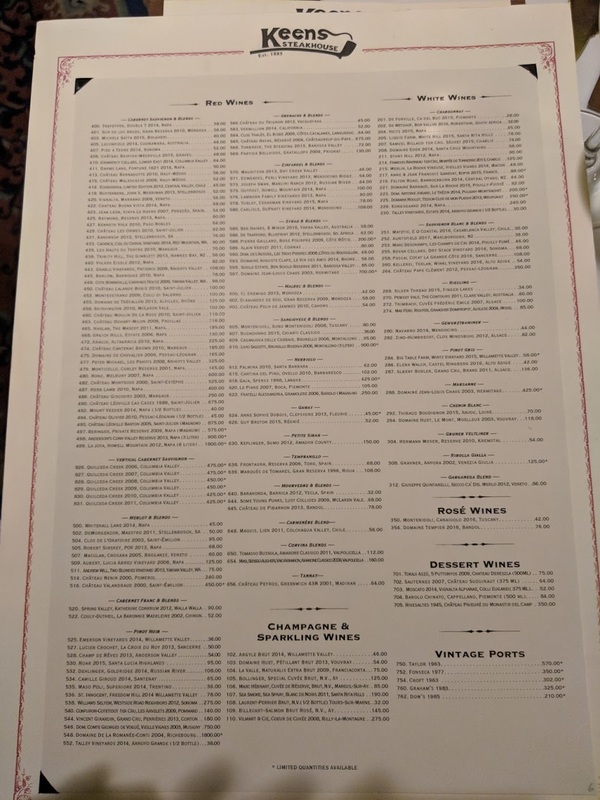 The restaurant has an excellent wine list, quite reasonably priced, and with a variety of excellent choices. 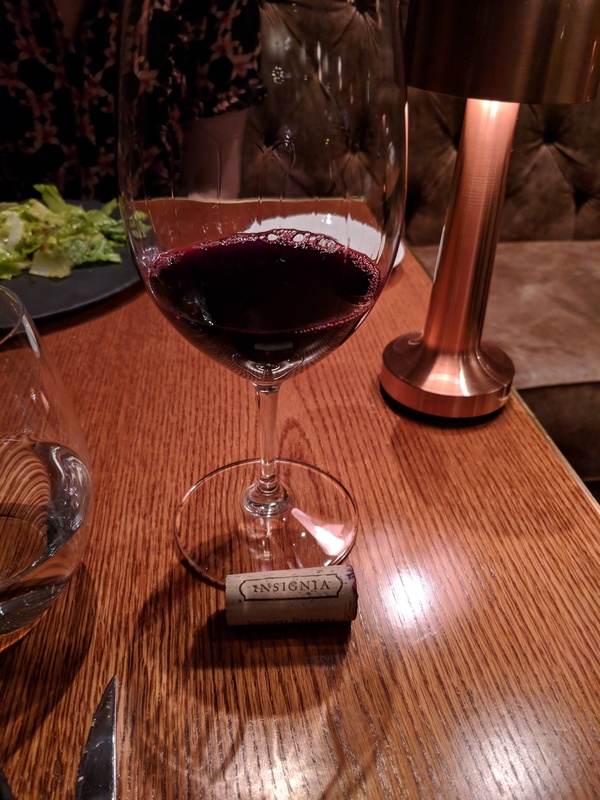 We chose a 2013 Joseph Phelps Insignia, a bordeaux blend from Napa. The colour as you can gather from the photos was a very deep, dark purple – gorgeous, actually. 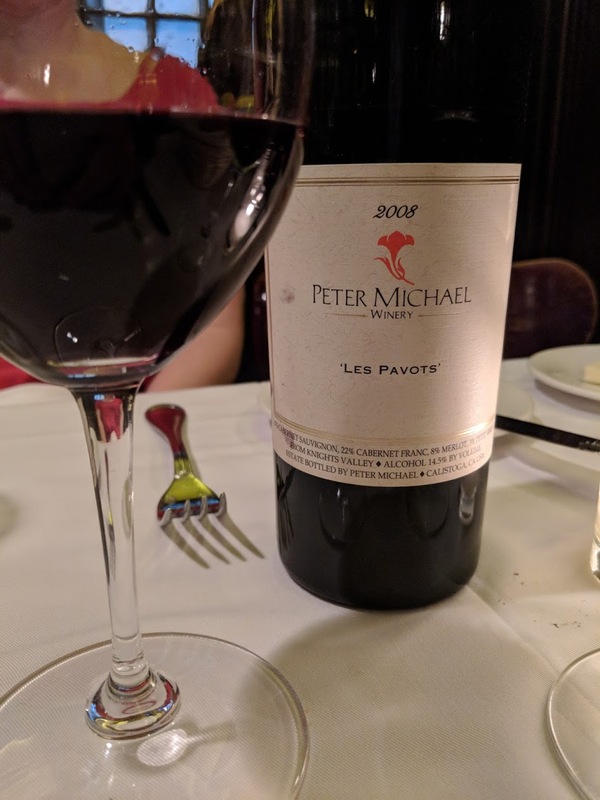 A big wine that was amazing to wave under the nose as well as to sip, bold but silky. Paired amazingly well with our steaks, as we expected! I chose the Brant Lake Wagyu Tenderloin with herbed butter, not always available, but on the menu that evening. 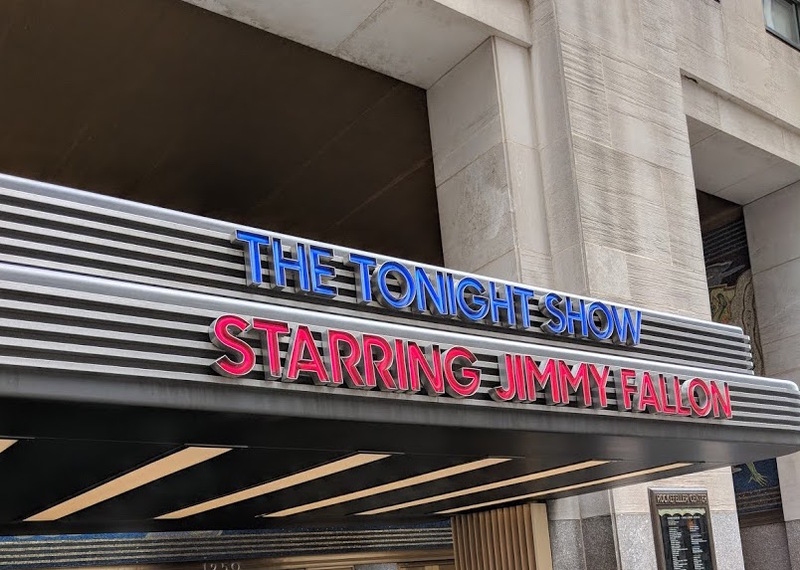 I’m really glad it was – it was rich and buttery (the steak, not just the butter) and full-flavored. I’m quite sure my portion exceeded the 7oz. listed. 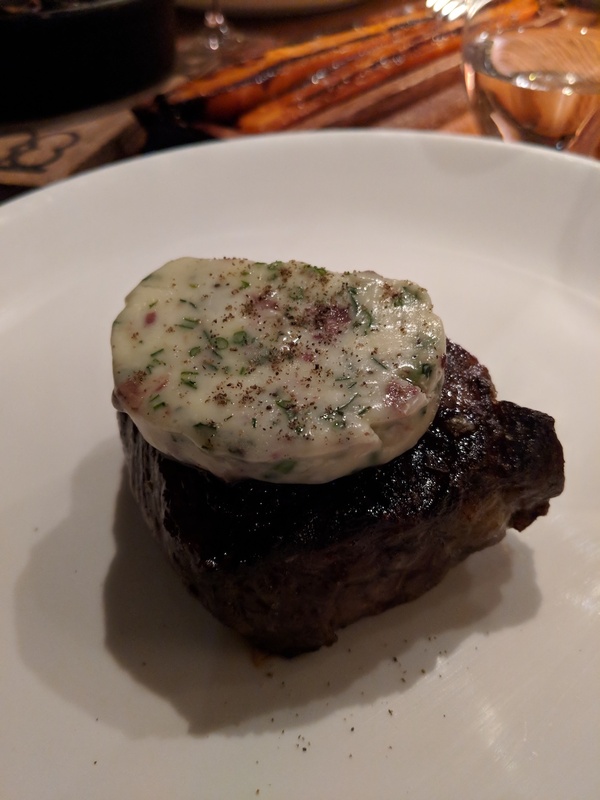 For him – the Brant Lake Wagyu Striploin with herbed butter (unfortunately, I can’t locate a photo, but it was scrumptious). Sides are served a la carte and made to share. We love wild mushrooms with steak, so that choice was easy. And we’d read high praise for the Braised Rustic Carrots with Brown Butter. 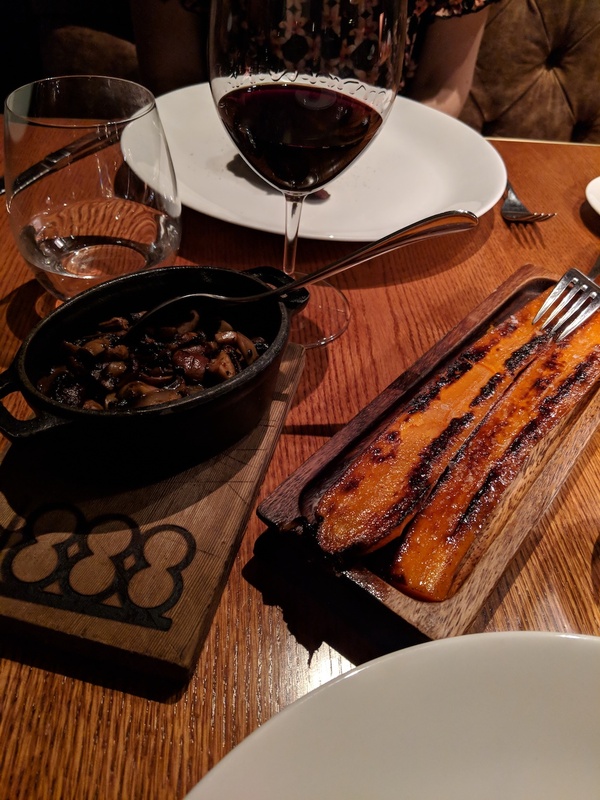 It turned out to be a really spectacular dish – monster-sized carrots split lengthwise (but really, good – still very flavorful), then braised in brown butter. Sweet, savory and wonderful texture, very pretty on the wooden board it was served on. Definitely recommend it! 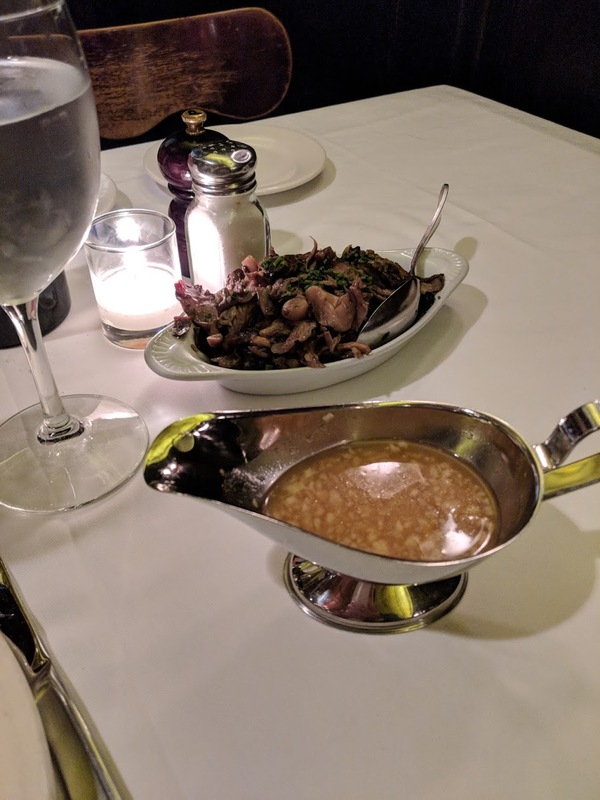 This was a great meal with excellent, attentive service. 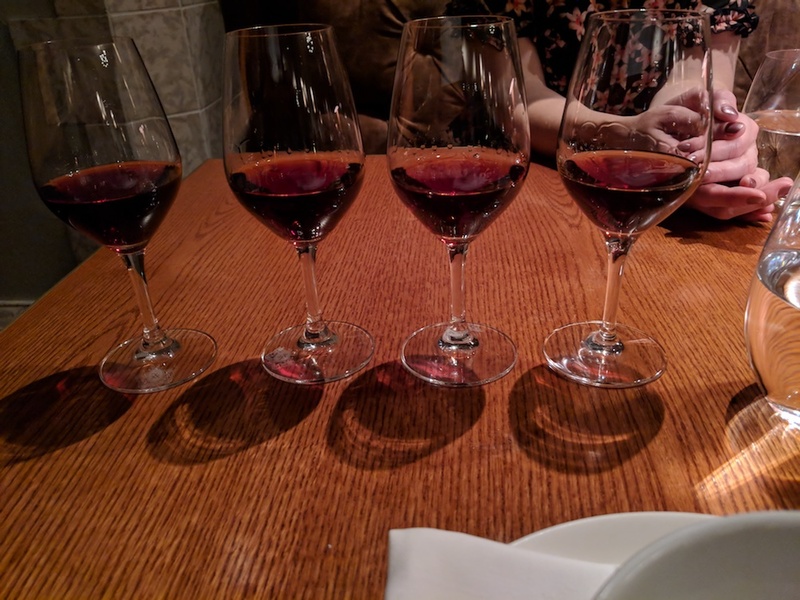 And while we were totally exhausted from our drive, we decided nevertheless to enjoy the the 100 years of Tawny Port (10,20,30 and 40 Year). Impressive, and always a great opportunity to directly compare the different appearance, nose and taste as the port ages. …And so, on to Dinner #2 at 1888 Chop House! 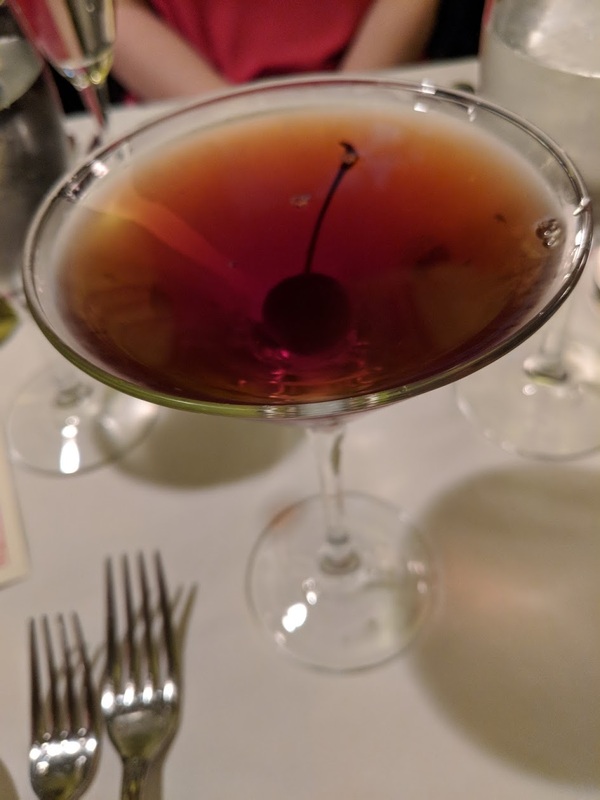 I began once again with Veuve Cliquot Rose Champagne, while for him – one of the restaurant’s signature sidecar, the ‘Pale & Dry’ (from the Sidecars’ Library, no less). 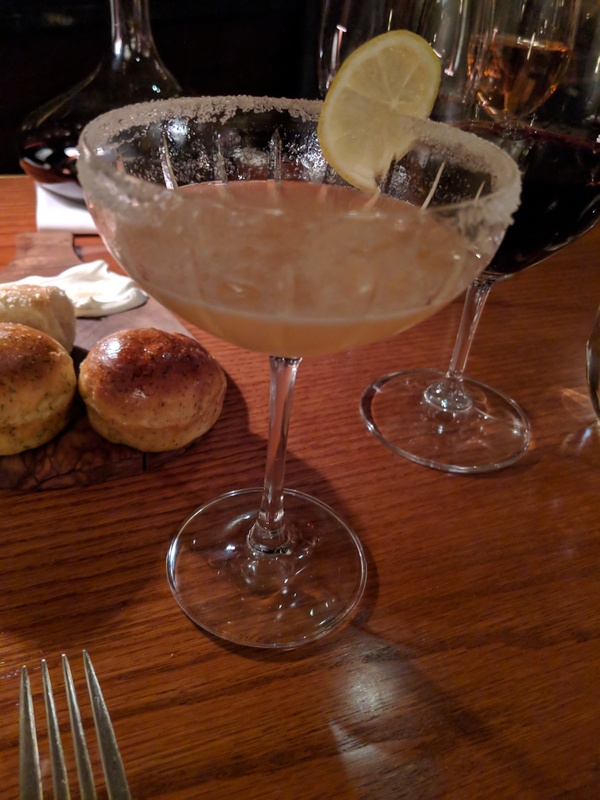 Tasty, although a bit too tart for his taste, this sidecar was made with Delamain XO, Grand Marnier, and lemon juice. And unfortunately it took a while to arrive at the table (my bubbly was already losing some of its sparkle). While we still enjoyed our meal overall, there was a strange combination that evening of certain parts of the meal being rushed, while others (like cocktails) took a while. This took away a bit from what we were hoping would be a leisurely, luxurious meal. 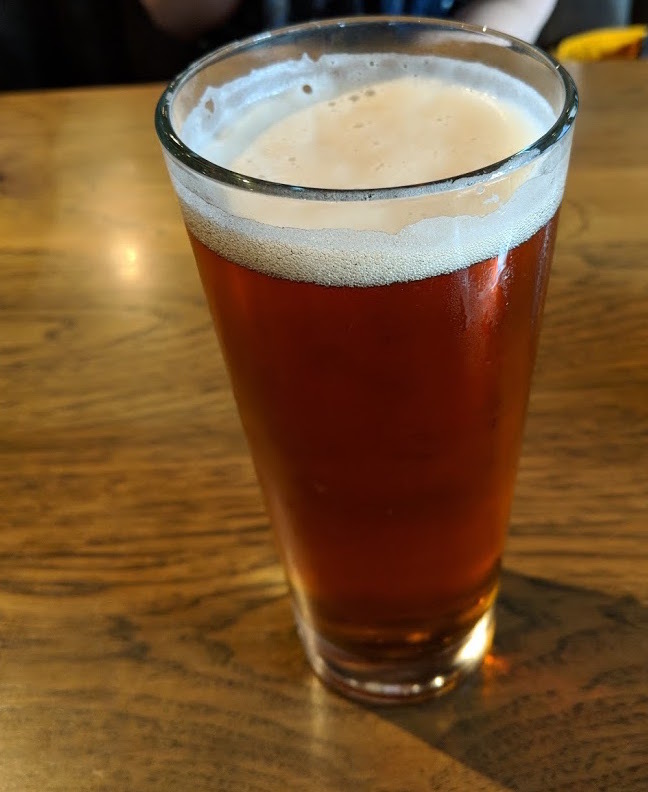 However, service and pacing at our previous meal was perfect, so without further evidence. I choose to see this as a blip and hope that if you go that you find that to be the case, too. 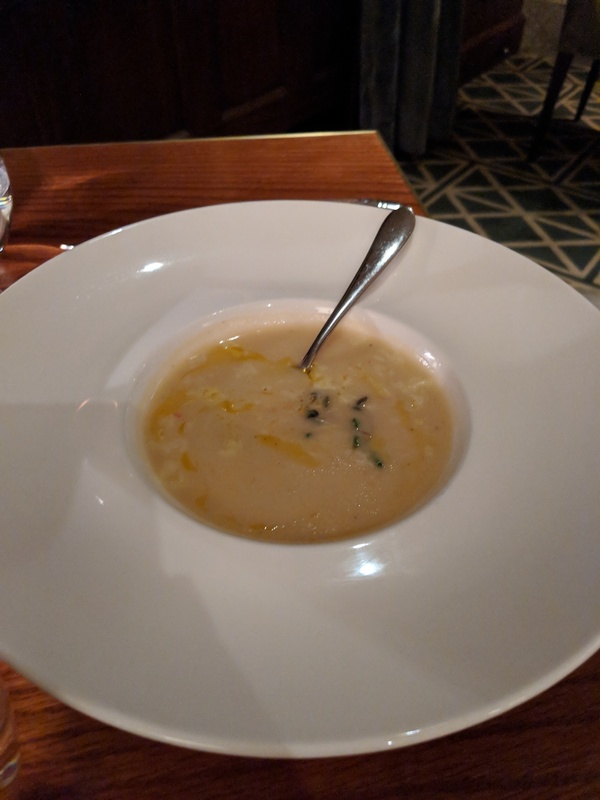 Moving on to the good stuff, I greatly enjoyed the evening’s featured soup, a velvety and rich cauliflower soup with parmesan oil and cheddar. 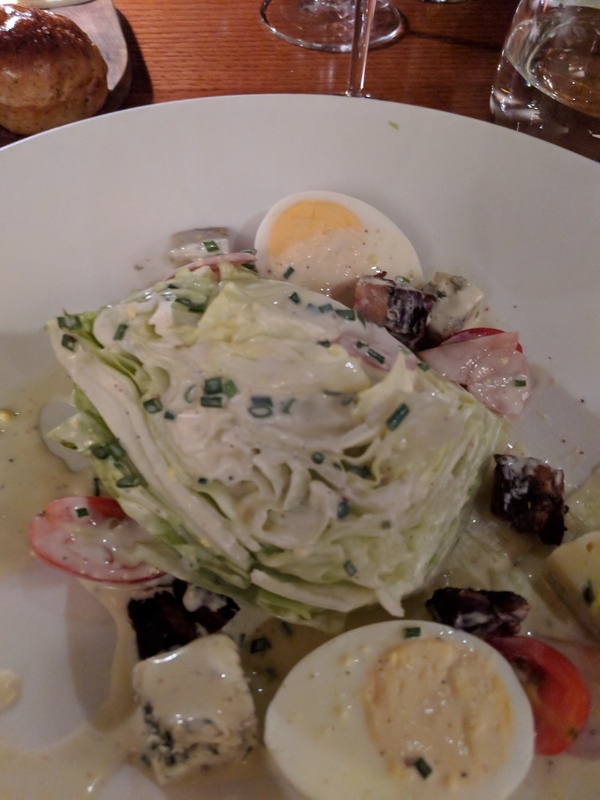 My dining companion had a wedge salad with 1888’s ‘spin’ – cubes of meaty lardons and a Mans pickled egg. 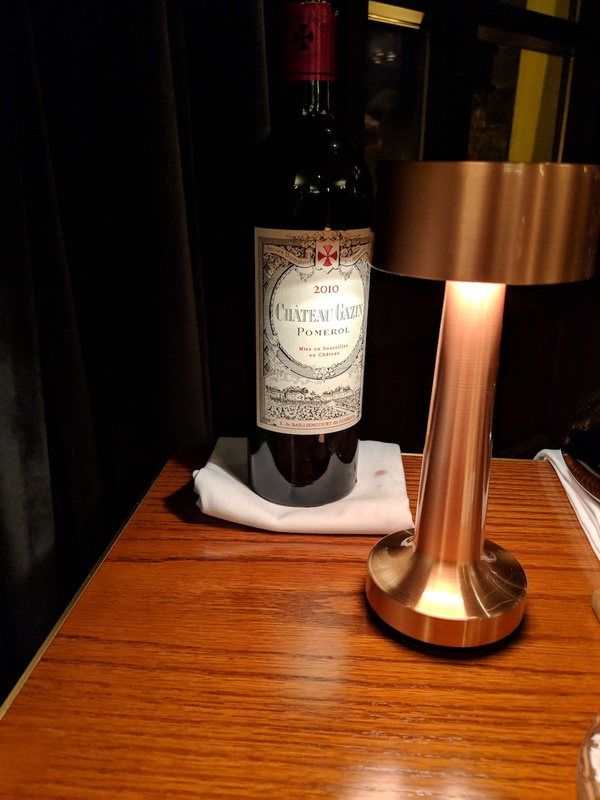 Always the highlight, we perused the wine menu once again, this time heading to France and choosing the 2010 Chateau Gazin from Pomerol. 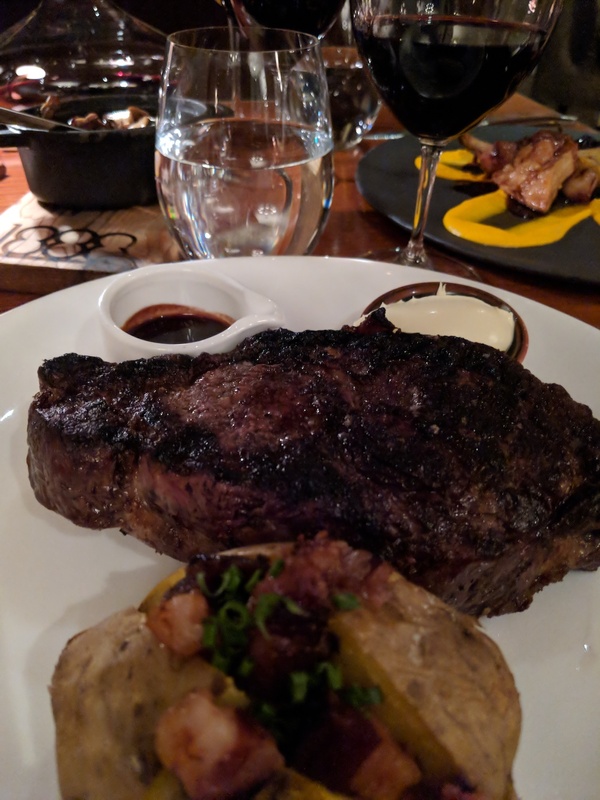 For the main course – he went with steak again, a massive 24 oz. rib eye with a sea salt baked potato (fully loaded and ‘lardoned’ of course) and an order of wild mushrooms. It was delicious, but most certainly eclipsed by the Brant Lake Wagyu cuts we’d enjoyed at our previous meal. 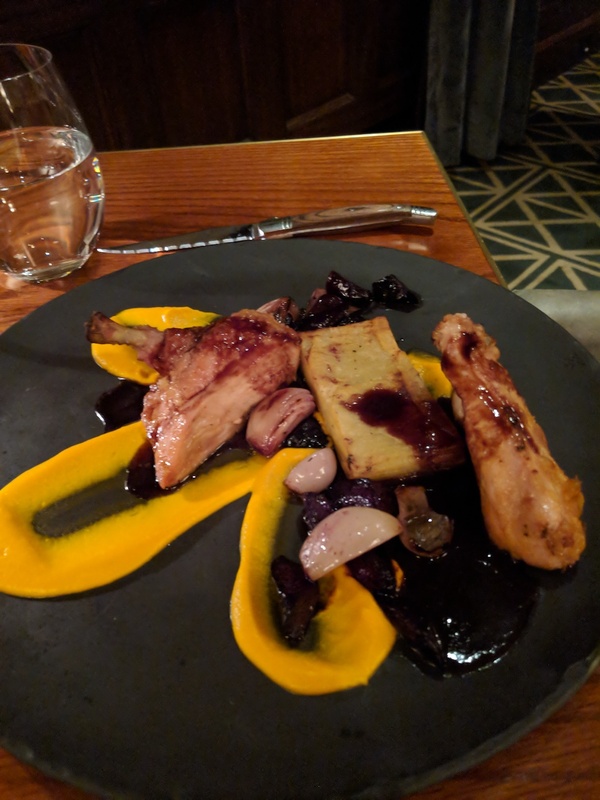 I enjoyed my selection very much – a roasted chicken breast with braised carrot, a bright, cheerful carrot foam, charred shallots (really brought out the sweet side of the shallot!) and a golden, delicate buttermilk potato pave. Hard to compare this with the beef tenderloin I had the other night as they’re so very different; but I wouldn’t hesitate to have the chicken again. Roast Chicken Breast with carrot foam, charred shallots, and buttermilk potato pave. I had to throw in the towel so to speak after my meal finishing the evening with a cup of herbal tea. 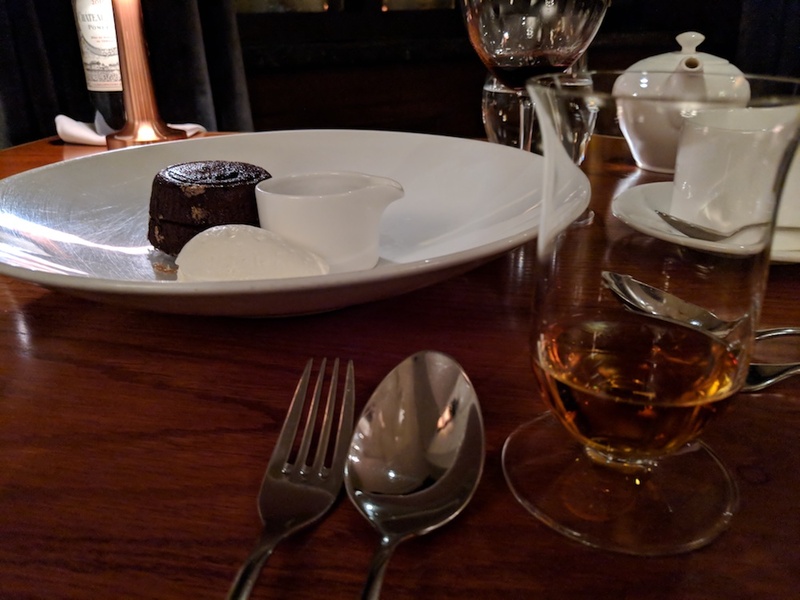 For him – the molten chocolate lava cake and a sip of Pappy Van Winkle, which he was thrilled to find on the menu. There’s something dark, elegant and suggestive of extravagance in the name Gotham. 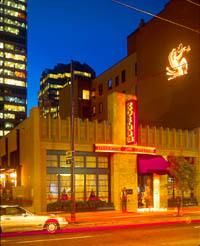 Gotham Steakhouse and Cocktail is a high-end steakhouse in downtown Vancouver, Canada. As its name might suggest, the interior of the restaurant is dark, elegant and yes, even somewhat extravagant in its brooding glamour. Tones of rich, chocolatey brown abound on the walls and in the furnishings, larger than life artwork evokes a stylized version of the swing-jazz era. 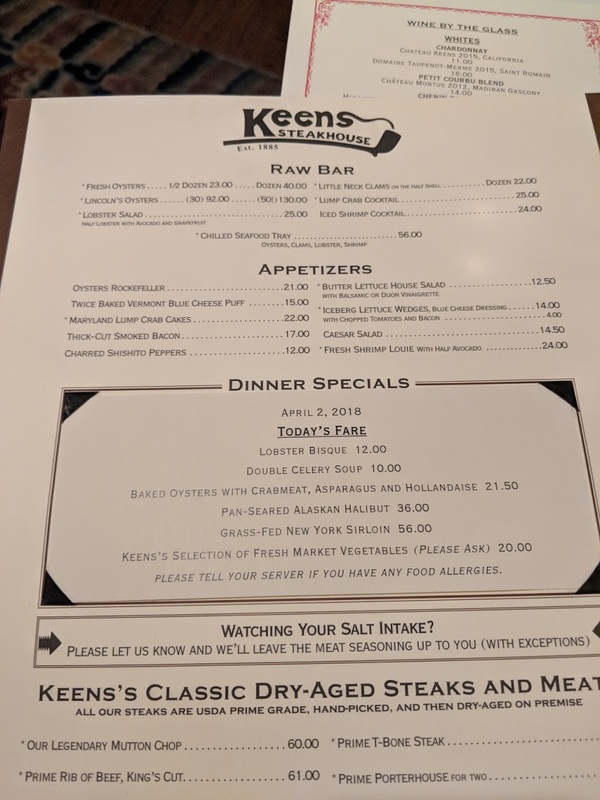 The menu is brief and honest as should be expected from a restaurant under the same ownership as Hy’s Steakhouse. 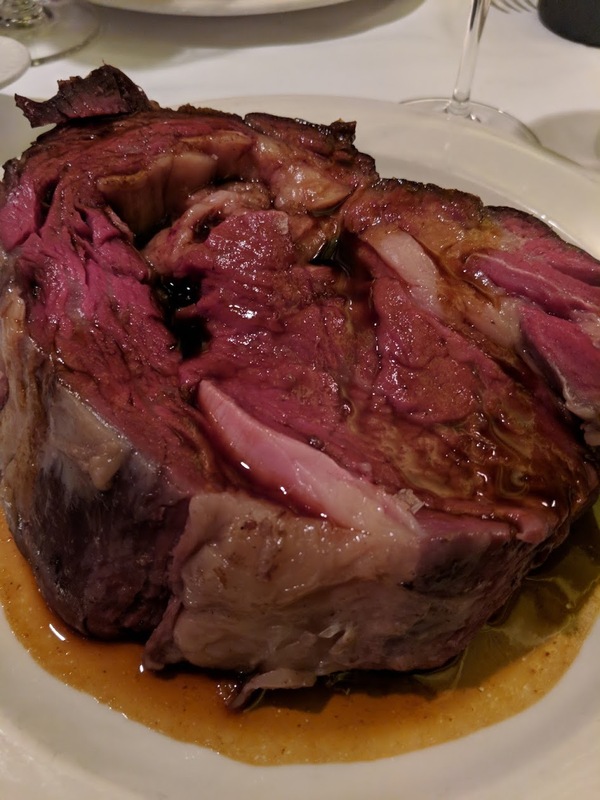 At Gotham, there is even more emphasis on serving the best version of traditional steakhouse fare. 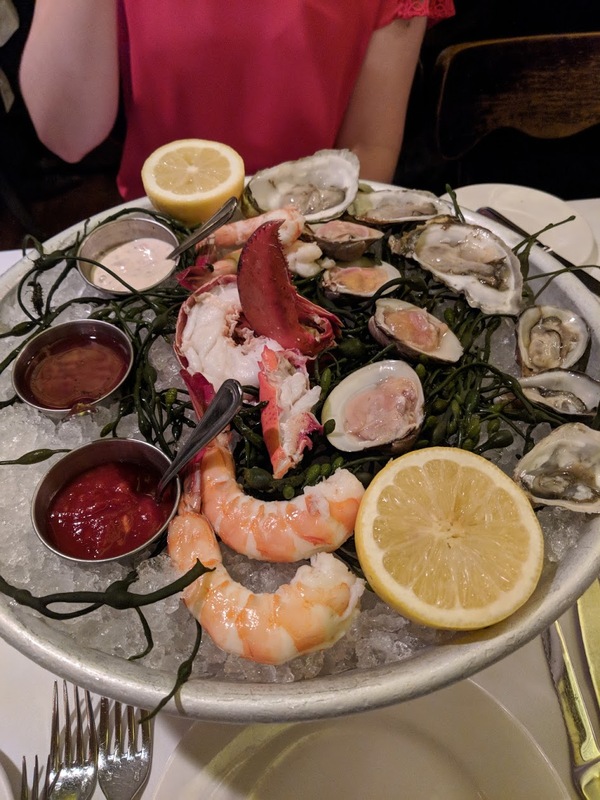 You are offered simple appetizers, like shrimp cocktail, fried calamari, oysters, crabcakes, beefsteak tomato and red onion salad with blue cheese. 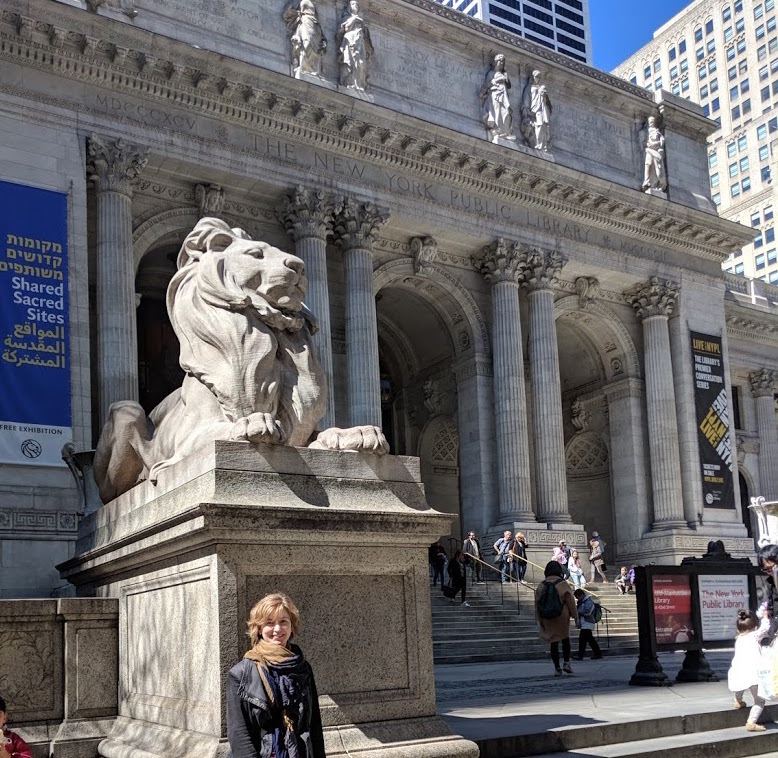 We highly recommend the Caesar Salad; we’re always seeking out a version with the best spin on this familiar recipe (must include copious quantities of garlic, of course). Gotham’s take on Caesar was a hit. Accompaniments to your steak main course (would you really choose anything else?) are served “family style” to share. 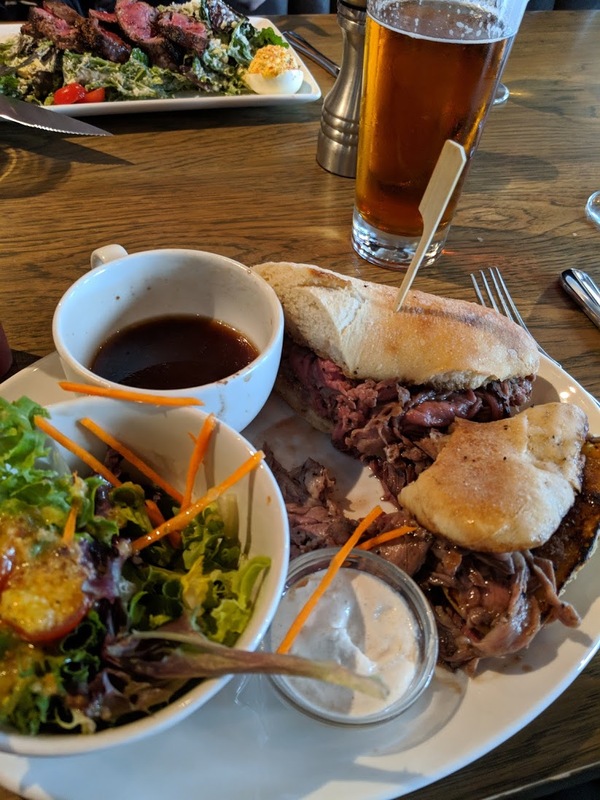 To put this in perspective, even the potato was supremely shareable and at the recommendation of our server, this is precisely what we did. Half of an enormous, Baked Idaho potato was served to each of us. Even looking at this beast gave me carpel tunnel syndrome. We soon stopped gawking and started eating as we drowned this perfectly baked treat in butter and sour cream. 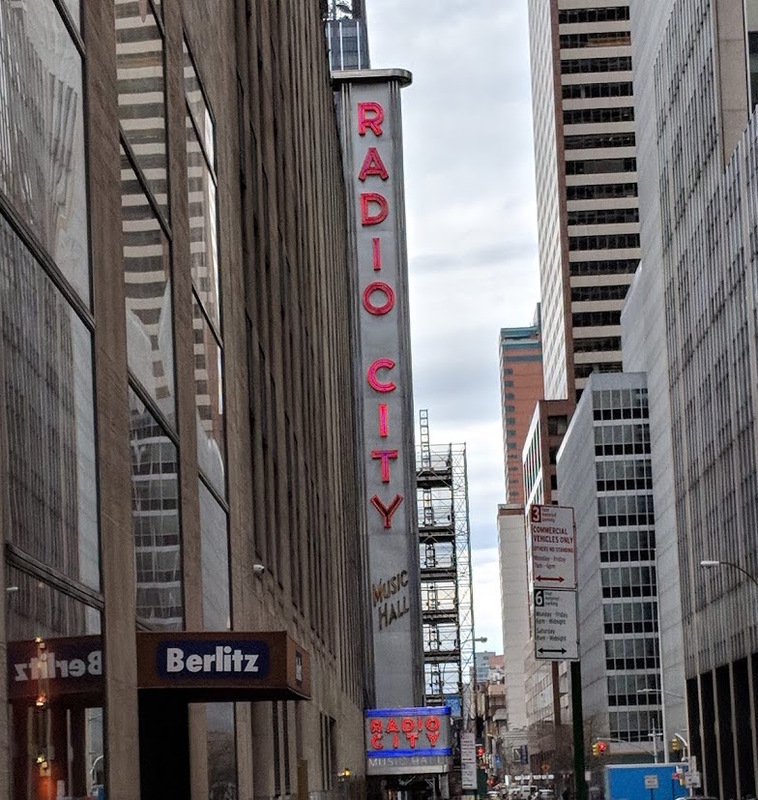 The steak was quite divine. Devoid of decorative sauces or distracting spices, we were served generous portions (the porterhouse being consumed next to us nearly tipped the table) of perfectly medium rare, beefy goodness. Definitely a steak worth writing home about and coming back for. 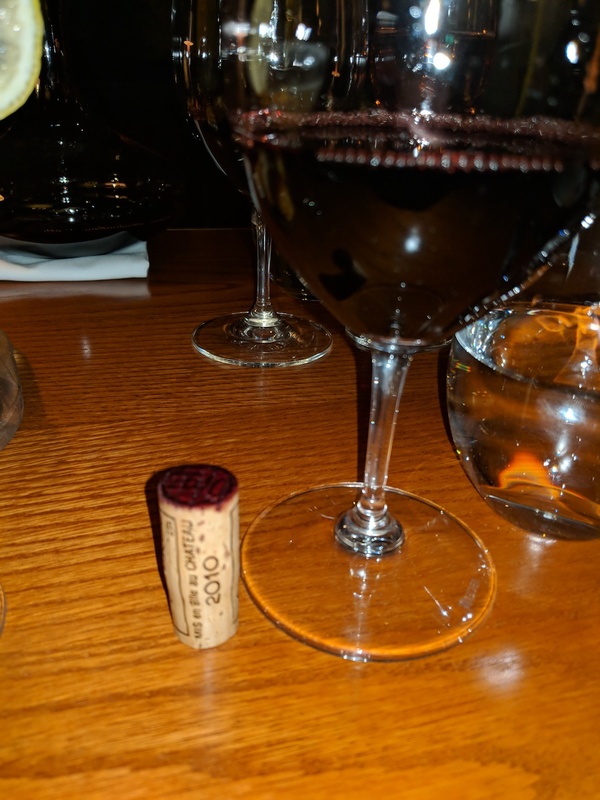 We accompanied this much anticipated meal with an absolute treat – the Torbreck RunRig 2001 (Barossa Valley, Australia). 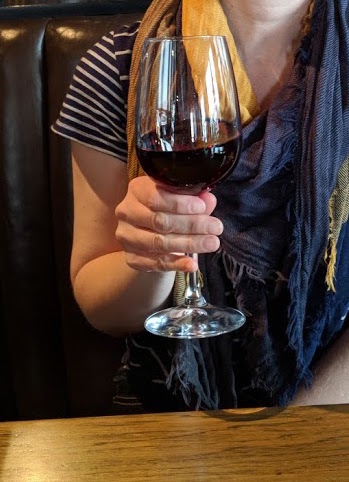 This wine is a true gem – a deeply-coloured, full-bodied shiraz with intense flavours of berry, espresso and spice and a wonderfully long finish. It is sure to please palettes that seek out the bold and the beautiful! You need something big to go with your honest-to-goodness steak at Gotham, so go large and get the RunRig or something like it (if you can!). 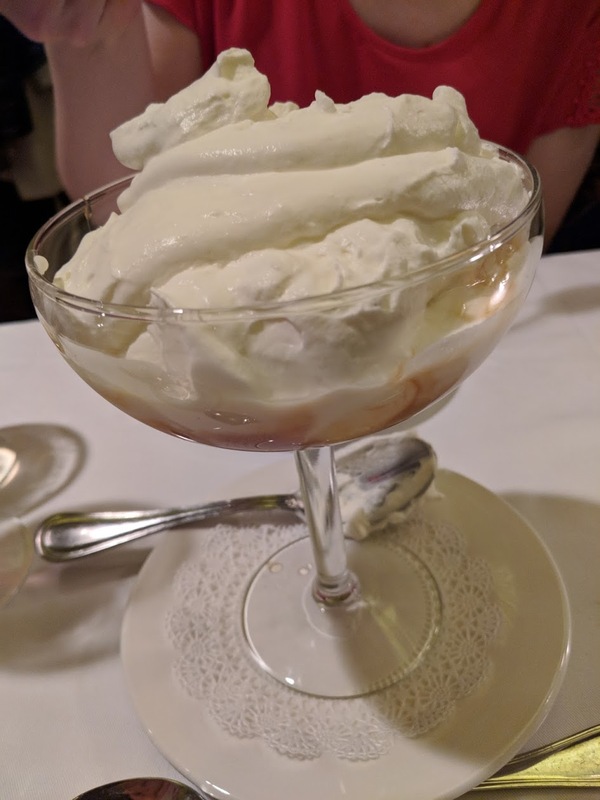 We recommend Gotham for its swing-era ambience, friendly service, and food that does not pretend to be anything other than it is – simple, top quality, and awesome. 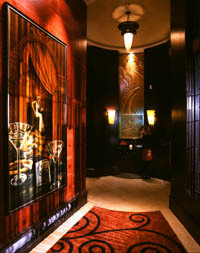 For more information or to make reservation, call (604) 605-8282 or visit www.gothamsteakhouse.com.